The OST to PST Converter is a full-fledged tool designed with advanced programs so as to convert OST files into PST file format. If you are a user possessing a large number of OST files and are looking forward to convert them entirely in PST format, then choose QuickData OST To PST Converter without wasting your time. For giving our readers a better insight to the product we have put together all its primary features, its working and lot more. Just scroll down to know more about the most efficient tool- OST to PST Converter. Converts all the OST file items like emails, contacts, etc. to PST file. Supports conversion of corrupted and orphaned OST files to PST. Quick and Advance scan for recovering corrupted OST files. Offers option to convert OST into EML and MSG formats as well. Filter options to convert selective items from OST to PST file. The trial version of [p2p type=”slug” value=”free-offline-converter-tool-for-ost-to-pst-file”]OST to PST Converter[/p2p] is available for free. The users can download the tool from the official website of QuickData. The demo version comes with a limitation that it will facilitate conversion of only 25 items per folder. The license version can be purchased from the official website of QuickData. The license version will convert all the items from all the folders of OST file to a PST file. To carry out a detailed analysis of the software, we downloaded the demo version of OST to PST Converter. The tool downloaded within a few minutes and was installed without posing any issues. 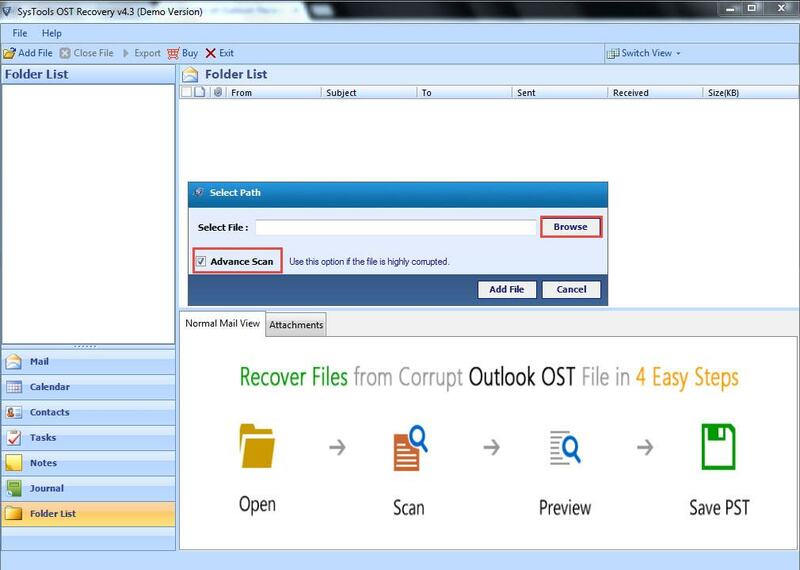 Add OST File: To convert the required OST file, add it to the software list by Add File option. 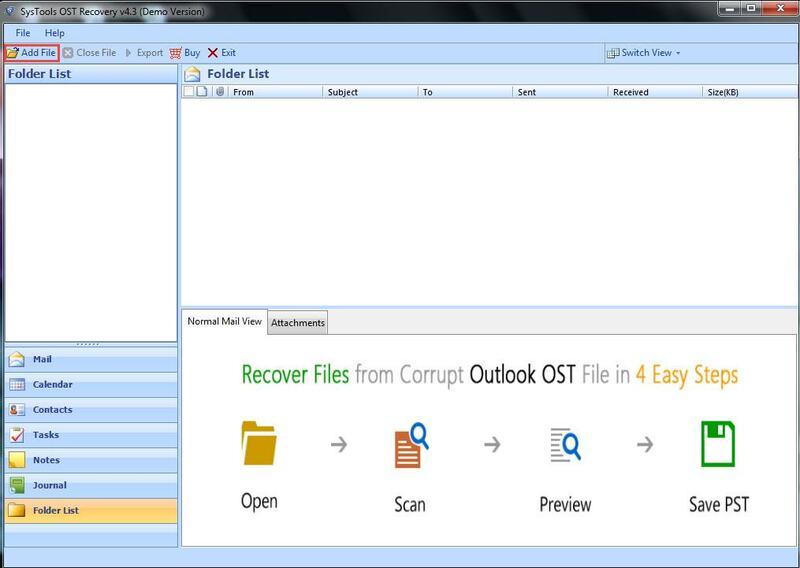 Convert Healthy/Corrupt OST File: In case the selected OST file is damaged, no worries, the tool will recover the data and convert that file to PST format whilst maintain the data integrity. To recover the lost data, scan the OST file by enabling Advance scan option. 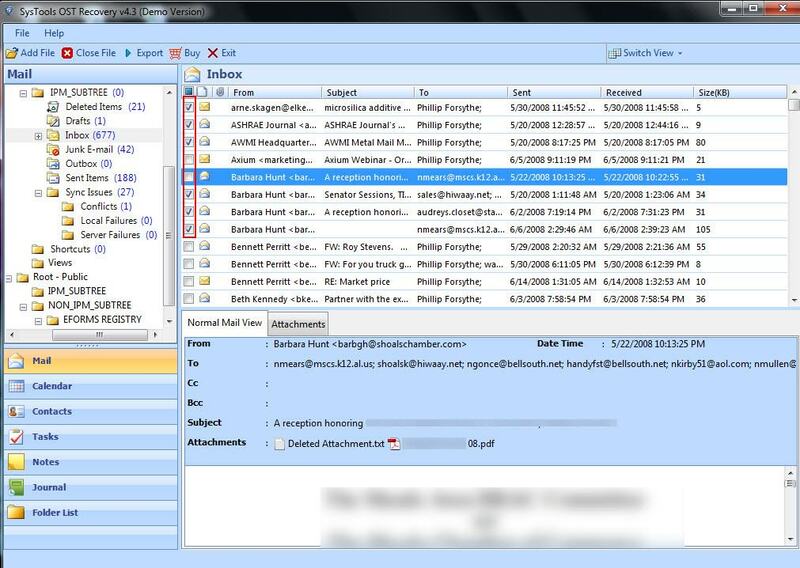 View Items In OST File: After the OST file is scanned, all the items like mails, calendars, contacts, etc. are displayed in a hierarchical structure. You can select the options by selecting from the left-bottom of the software panel. Select Items: The software gives you an option to convert selected items by checking the check-box in front of them. 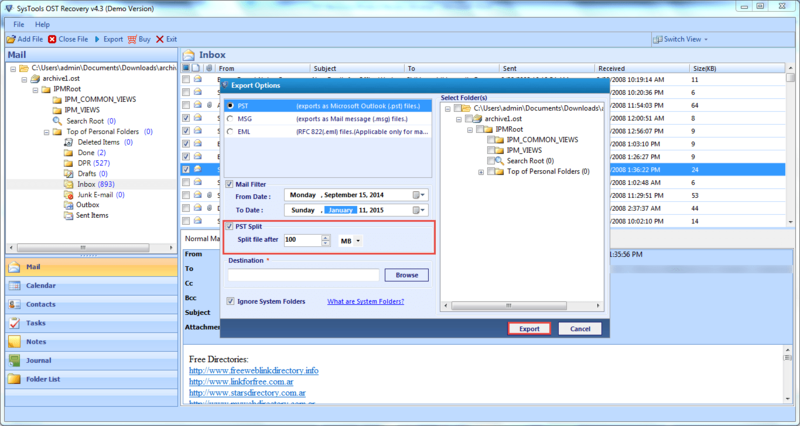 Convert To PST Format: Now select the PST option to convert your OST file to PST format. 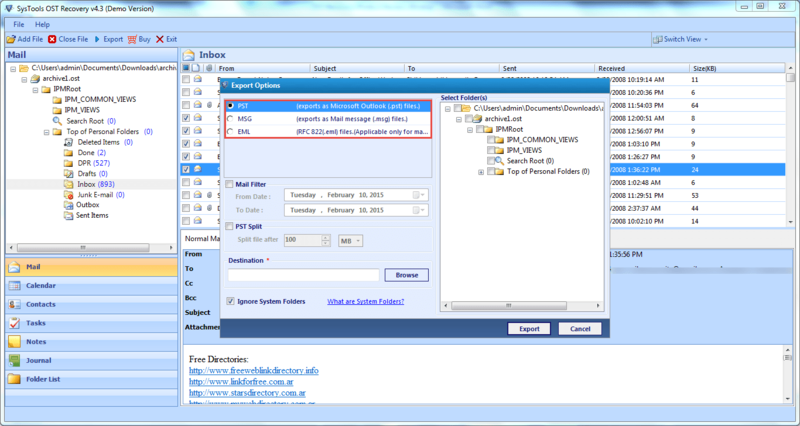 The software gives an option to convert OST file into 2 additional formats- EML and MSG. Apply Mail Filtering: In order to export selected mails from OST file to PST, choose the date range of the mails that you want to convert. The mails lying between the mentioned dates will be converted. PST Split Option: The software offers a PST Split option to split the resultant PST files if they are large in size. Select the size of the files either GB or MB. Export: Once you select the Export Option, all the items will be converted to PST format. If we talk about technical features of the software, it is built with all the features (some extra one too) that are required in a [p2p type=”slug” value=”automatic-conversion-entitlement-repair-corrupt-damaged-ost-file”]conversion tool[/p2p]. The greatest feature which the tool is equipped of is that the tool converts even the corrupted OST files. The advance scan option recovers even the severely corrupted OST files. The filter options avoid conversion of unwanted items from OST file. The PST split option ensures that the resultant PST file will not undergo corruption due to its large size. Thus splitting is the very option that will save the file from corruption. Supports conversion of corrupted OST Files. Offers conversion to additional formats- EML and MSG. Mail filter saves unnecessary time and efforts. Split PST option ensures no future corruption. No option to search for a particular item. No option to export OST files in batch. No preview is available for mail attachments. Counting the overall performance of the tool and all the great features that it is equipped with, the tool can be rated as 9.8/10. Although the tool does not support conversion of OST files in batch, but it does offer conversion of even the corrupted OST files. The software definitely deserves a trial and you should go for it without any further delay.